One of the best things (in my opinion) about Mudd is its proximity to so many great national parks, hiking trails, and mountains. I am two hours from Joshua Tree, Mojave National Preserve, Los Padres National Forest, San Bernadino National Forest, Anza Borrego Desert State Park, and more. Additionally, I am only a bit further away from Death Valley, Sequoia, Yosemite, and the Grand Canyon. I have not yet explored all of these great places, but I hope to do so in my last two years here. What’s even more great is the fact that there are some amazing trails that are super close to home. By super close, I mean 20 minutes away. One of these trails is the Three T’s and Baldy Trail. I have hiked this trail twice in my time here (once as an Orientation Adventure Leader!). 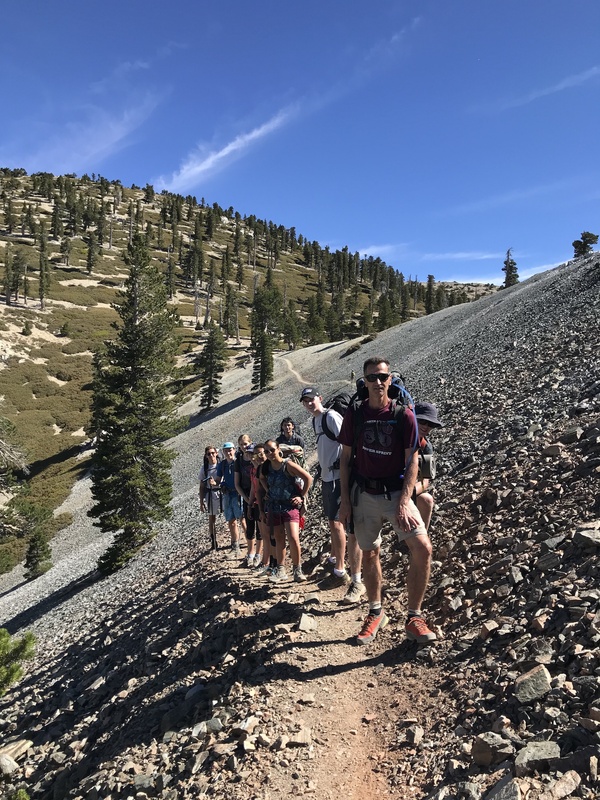 In this blog post, I will share my experiences in hiking this trail with the hopes that others will be inspired to try it, too. (Note: I won’t be sharing all of my trail notes in this post, so those of you who are interested should check out The Hiking guy’s Three T’s Trail Guide for information about the first half of the hike). The Three T’s and Baldy Trail starts at the Icehouse Canyon Trailhead (if you’re curious, here’s the Google Map of the trailhead location). There is parking available at the trailhead, and parking permits can be obtained at the visitor center. The beginning of the hike is situated in a very forest-y area with lots of trees and a gravel trail. You will come across a junction between Chapman Trail and the Icehouse Canyon Trail. I have tried both of these routes, and you will end up in the same exact place. The Chapman Trail is only a couple of miles longer. You will eventually reach the Icehouse Saddle, which is the best place to take a lunch break. There are logs to sit on, amazing views to see, and often other hikers to chat with! Now starts the real elevation gain. In the next 5-6 miles, you will be hitting 3 mountain peaks. 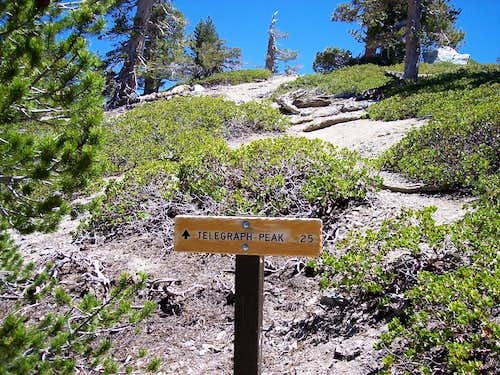 In my opinion, if you wish to save time and mileage, you should only go up the second peak (Telegraph Peak). After the 3 peaks, you will head downhill to Baldy Notch/Baldy Lodge. When I first hiked this trail, my friend and I made the horrible mistake of choosing this to be our campsite. While it is very normal to encounter wildlife on these types of hikes, we were not very excited to encounter a pack of raccoons silently approaching us (twice) as we were trying to sleep, especially because we were not using tents. (Note about tents: this trail tends to be moderate in temperature even at night, so tents definitely are not necessary if you do not want the extra weight). Baldy Lodge is also where you can get water! The bathroom stays open all day and night, so you should be sure to stop in there to refill and maybe even wash up if you are interested. Depending on when you arrive, the restaurant might also be open for you to order some food. Here comes the real challenge: Devil’s Backbone. While this portion does have some of the steepest elevation gain, it is also the prettiest portion of the hike. 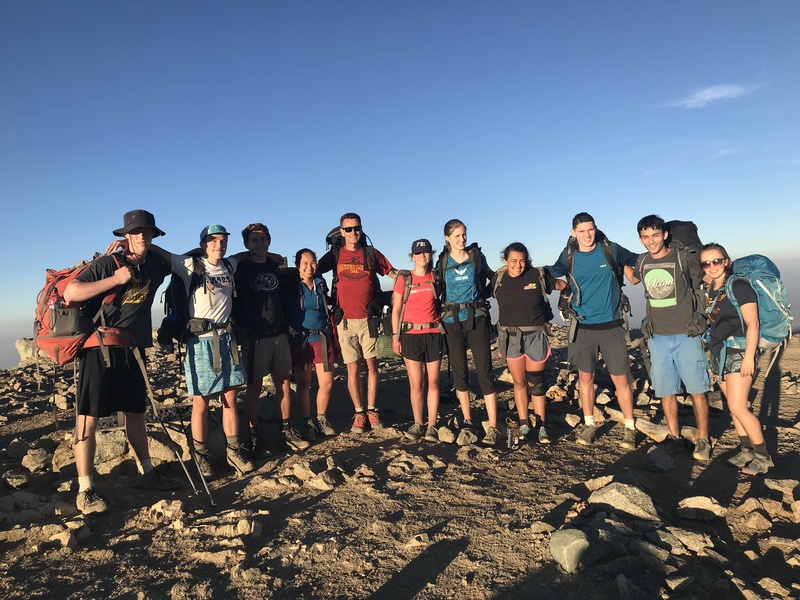 The second time that I hiked this trail (with my Orientation Adventure group), we slept at the top of Baldy. I HIGHLY suggest doing this. It is a bit windy at the beginning of the night, but it calms down eventually. The temperature is a bit chilly, but that is easily solved with an extra pair of socks. In the morning, we began our hike down Bear Canyon Trail to the Baldy Visitor Center. This portion can be a bit strenuous, especially as you go through a patch of 17 switchbacks. But, once you get down in elevation, you will have a great stroll through a shaded area. 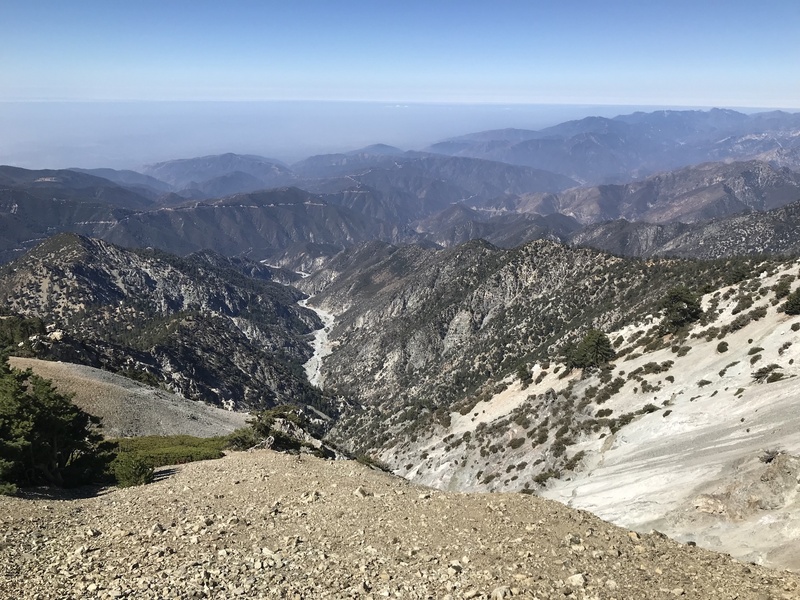 This whole portion is about 6.5 miles and ends at the Mount Baldy Visitor Center. The first time that I did this hike, we walked another 1.5 miles up the road back to our car at the Icehouse Canyon Trailhead. If you don’t want to do that, then you can also coordinate to have somebody pick you up at this spot. Hooray! The hike is complete! 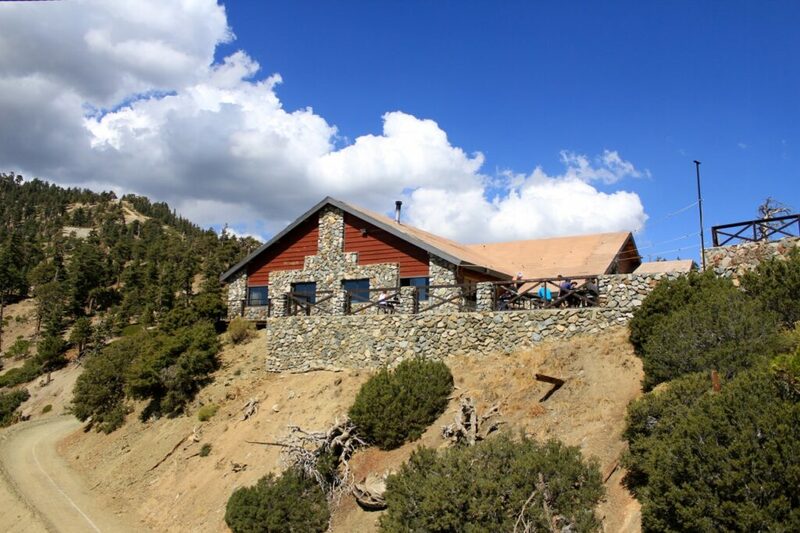 Grab yourself a milkshake at the Mount Baldy Restaurant. You deserve it.